Rashad McCants shared several of his regrets about his basketball career with the Charlotte Observer yesterday. There’s not bringing attention to UNC’s academic scandal sooner and not trying to handle the situation internally while he was still in school, among others. But his single biggest source of remorse? Dating Khloe Kardashian. 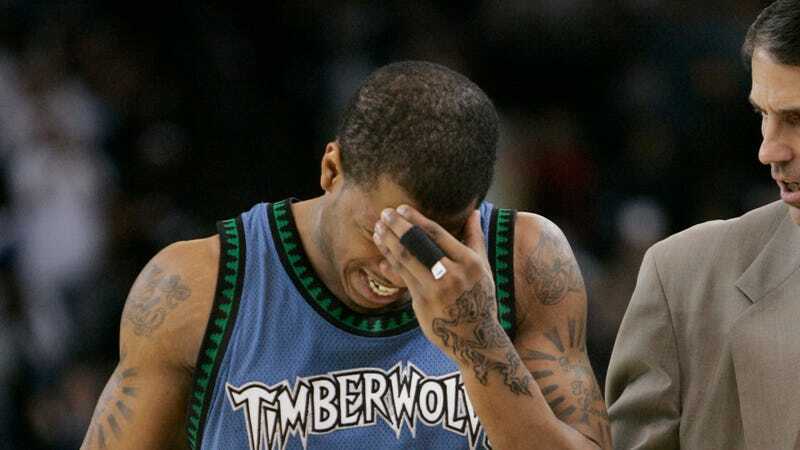 The pair dated for about six months in 2008 and officially broke up in January 2009, shortly before the Timberwolves unloaded McCants to the Kings. He was averaging nine points per game at the time. After finishing out the season with Sacramento, he did not play in the NBA again. He has since washed out of the D-League (twice), the Phillippine Basketball Association, the French Pro A League, the Chinese Basketball Association, Novo Basquete Brasil and the Lebanese Basketball League. Kardashian, for her part, does not seem to have any regrets. “He’s a loser,” she told OK! Magazine in 2009.